Usually, after the conclusion of an American Idol season, I gradually allow the top contestants to slip off into obscurity, putting aside the possibility that they may become popular musicians. I have never spent money on an ex-Idol musician because the large stock of releases has never interested me. Season 10 was a little different. The Jazzy voice and Indie potential of contestant Casey Abrams stood out with “when he releases an album, I might purchase it” flavor. He is not a pop star and will never be one. I liked his honesty. The rest of the contestants, from the iconic country croon of winner Scotty McCreery to the forgettable voices of the runner-ups, were only television entertainment. Well, they did come off the screen last night and perform a 2-hour show at Nassau Colisseum on Long Island. So, yes, they did transcend the pixelated screen and some performers stood out. For every screaming 13-year-old girl (a massive generalization, I know), there was a person like me, who watched the show and was simply curious. 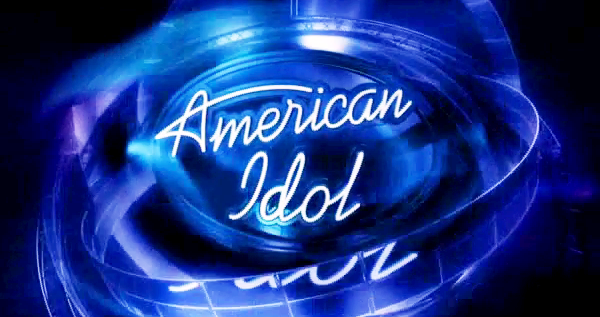 My mom and my sister, also avid Idol watchers, joined me for our first post-Idol Top 11 show. Before I analyze each performer, I would like to say that the concert was actually entertaining. I say actually because this is not a show I went to with tremendous expectations. I was trying to be realistic. With each introduction, the young crowd yelled flattering comments at their favorites and kept up their shrilly screams the entire show. This was great, though. It made me smile. They were excited, many probably attending their first “big” show. It seemed that lines of cheery-eyed kids were dressed in their American Idol Season 10 shirts and their infectious excitement was humorous and invigorating. As for the music, the band was malleable and the performers varied. The group performances were significantly better than they were months ago. This is understandable for they have had much more time to practice. The concert did reveal improved and surprising talent. The most expected thing was the in-your-face Coca-Cola and Ford advertisements, the two main show sponsors. All three judges and Ryan Seacrest made cameo appearances on the big screens adjacent to the stage and the concert producers played with Steven Tyler‘s propensity of imprecation by bleeping him twice during the recording after he accidently said that this was Season 11. The bleeps have become part of his persona and his act. The show was wholly energetic and, despite almost falling asleep during uninspiring ballads and Lauren Alaina’s awkward, subpar country performance, I was up and smiling. Let’s get to each performer. If I am a little cruel to your favorite, I apologize. This is only my own opinion! I am not going to go in any particular order, but at the end I will rank the performers from 1-11 in a mock standing of how I think the show would’ve, could’ve, and maybe should’ve turned out if it started with the top 11 today. Now, do keep one thing in mine. Each individual performance (every member of the top 11 had an individual song – or multiple) was geared towards the performer’s comfort zone. So, I am judging them on what they do best, not what the show makes them do. Thia Megia – She is 16. And, I don’t say that as an excuse, but as a fact. Her individual performance was average. She has a good voice, though. It is quiet and was drowned out during the group performances she sang in (most of the low-standing runner-ups were delegated to back-up duty for a lot of the night). She will get better as she gets older. 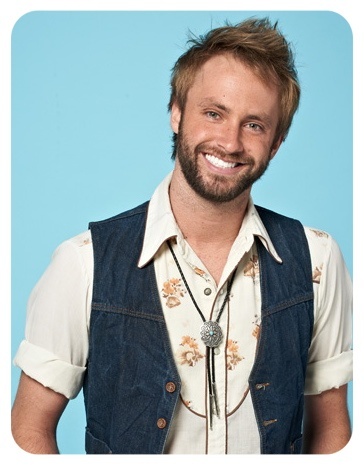 Paul McDonald – Oh, Paul. 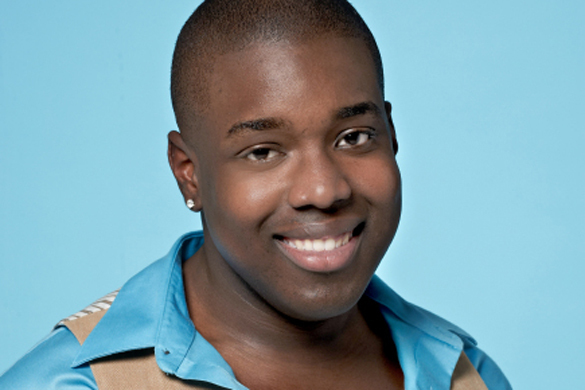 He had one good performance on Idol that kept him in the show for an extended period of time. “Maggie May” fit his quirky voice like a glove. We thought he could go far. Then, one flaw, he could not sing any other song well. So, what song does he sing? “Maggie May.” And, he sang it well. But he fell up short on everything else, even having trouble keeping in tune in the groups. Pia Toscano – This was a homecoming for her, so she had a chance to showcase herself a little bit, performing a new single for her New York fans. But, unsurprisingly, she fell up short like she did on the show. Yes, despite a loyal following in New York, she was extremely forgettable to most of the country during the Idol season and during the show last night. You see, she has an insurmountable problem. She is a ballad singer, through and through. When you are a female ballad singer you have to be in the level of “great” to be remembered (I.e. Celine Dion, Whitney Houston, Barbara Streisand). Is Pia great? No. She has a “good” voice and that will unfortunately leave her in the wake of the vocal giants, destined to be forgotten. Stefano Langone – Another performer with a Pia problem. 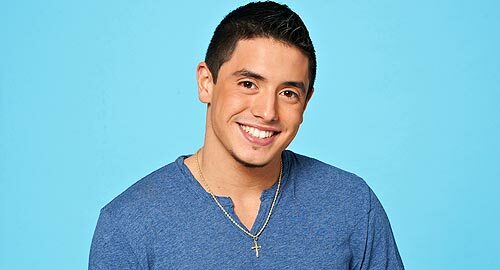 Stefano can stake his claim as a Bruno Mars-like performer. He just doesn’t have as strong of a voice. His voice strains to easily. And despite for randomly taking off his shirt during one of the performances, an act that confused most of the crowd and acted more as a laugh than sensual act, he was also forgettable. 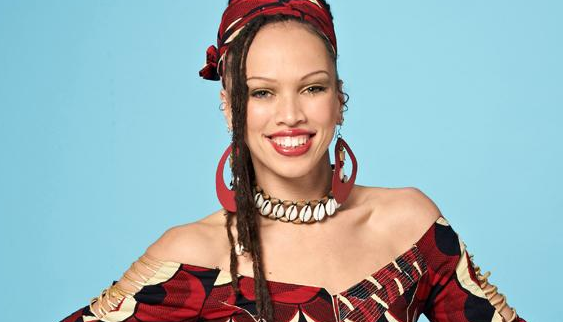 Naima Adedapo– Here was a nice surprise. I liked her during the show, but she was booted quickly because her voice lacked intensity and her eclectic dance moves tired her out during her performances. But on stage last night, was an endurance-freak with a significantly better voice. Yes, backing vocal tracks help everyone, but hey, as the type of performer that Naimi seems to be leaning towards (mainstream pop) you would never get caught away from home without the assisted amplification. Her lively performance of J-Lo’s “On The Floor,” where she broke out in a mid-song African dance, was electric. I actually think she can make it. And, if they did the show again, she would finish closer to the top. Jacob Lusk – The gospel singer. Lusk has a magnificent voice. It is smooth and his vocal runs are effortless. His problem was simply that gospel is a small market now, unless, of course, you can transform it into a R&B, Gospel, Soul, Pop combination and become a performer like John Legend. Lusk drove through Luther’s “Never Too Much” and then performed a touching tribute to Nick Ashford, who unfortunately passed away this week. He sang the Ashford and Simpson written, “You’re All I Need to Get By,” which was most notably performed by Marvin Gaye and Tammi Terrell. The youthful crowd couldn’t really understand these references, so they remained quiet during Jacob’s performance for the parents. Haley Reinhart – Haley is a good, not great, female vocalist whose eccentric indie-like voice is raspy (a little too raspy), but still jazzy. She performed “House of the Rising Sun,” which is widely considered among the top American Idol performances of all time, and she performed it well. I’m not going to say that she is a one-trick pony, but her voice doesn’t diversify well, and therefore, since she was often a displaced performer, it was easy to tire of the performances. Now, let me explain this a little better to the passionate negators of this view. By saying she lacks diversity, I am not insulting her abilities. Many artists lack diversity. They, if they are good, become ensconced in their own genre and then master it. I see Haley performing in the genre of blues/jazz. She may do a great job attempting to restore this genre to popularity. Heck, she can do it with Casey. But, and this is a big flaw in my mind, she has limited range. When she pushes into the upper register her voice naturally goes to a grunt (or rasp). She is simply exploring the limits of her voice. In judging ability, this is a flaw. Many people think its cool. I guess it is a matter of preference. So, to sum this little analysis up, she was a good contestant who had a flaw in her voice and she still does. 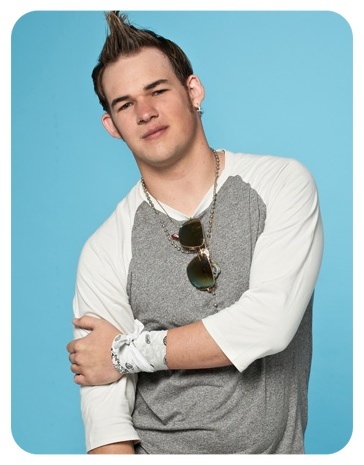 James Durbin – Durbin is the closest thing Idol has gotten to a hard rocker. Daughtry is alternative. Adam Lambert is theatrical (and is now performing mainstream pop). Durbin has an above-average rock voice, and if it wasn’t for a weak spot in his voice, he would have possibly won the show. Durbin can hit high notes and his regular level notes, but in the middle of this range is a weak spot in his voice that is a minor, but noticeable blemish. He is still awesome. He put on the best show of the night, performing “Uprising” and “Sweet Child O’ Mine.” The crowd was rocking with him and Durbin bounced around the stage like a professional. Stick him in a rock band and they will do well. Casey Abrams – We are nearing the end. Casey is probably the most talented musician they have ever had on American Idol. His flawless bass playing gives him this cool element that pairs excellently with his jazzy voice, the best of the competition this year in my opinion. Last night, he proved it. Casey has one of those voices everyone wishes they had. It is sultry, almost playfully lascivious. His range is impecable. His runs are spot on. He didn’t hit a bad note. If Casey released an album, I would buy it (supposing he stuck to what he was good at – jazz-fusion). He performed a slowed-down version of “Smooth” that was tremendous. It is one that I will remember. Watch for this guy. He knows what he is doing. 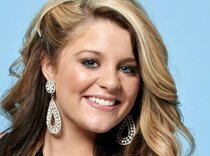 Lauren Alaina – Alaina opened after the intermission and sang three songs. Now I wont give her too much flack because I believe she is just getting over bronchitis. She also sprained her ankle backstage during one show. The tour has beaten her up. Alaina, though, has the same problems that she had during the show. She performs with little energy and confidence. She seems awkard on stage and this is easily recognizable through her consistent tugging on her dress and rigid movements. She is a country singer with Carrie Underwood aspirations, but only time and age will tell if she can really reach that level. Scotty McCreery: As the winner, McCreery was saved for last. He performed five songs. He looked like a consumnate professional on stage; someone who is been performing for years. He has an innate vocal gift. His deep croon is country perfection. He deserved to win based on pure voice and can last in the music world for 50 years with such a voice. How do you think it should have turned out? There’s absolutely no way in hell that Casey’s voice is better than Haley’s, James’s, Lauren’s or anybody else’s voice in the top 11 in my opinion. His voice is so weak that he just covers it up with growling. How can you get sick of Haley’s voice and not Casey’s? Haley has one the best voices along with Scotty and Lauren. Casey biased review…. I knew that I would engender some criticism to some of my commentary and I’m glad to have. My thoughts on Lauren and Scott are above this comment in the post and I do believe that it is a rather rude generalization to state that my review was awful because of a specific commentary that you don’t agree with. Also, the review is not biased because I have absolutely nothing to gain from this. All I am doing is stating my opinion. When I say that Haley’s voice lacks variety, I am not insulting her. I believe that Scotty’s voice lacks variety as well. But he is perfect in his niche. Haley, and this was a problem with her on the show, could never truly find a specific genre where she sounded great. Her raspy voice probably best suits her for jazz, but in the realm of jazz/blues singers she is not superior. I think her voice levels out at spots and she leans on her rasp as a clutch. Guest, I would argue that Haley suffers from the problem that you believe Casey does. But Casey’s range is superior (probably the best on the show), and this is supported by his vocal runs and high notes. Here is the difference. Casey has control over his croon. He can be raspy when he wants to and smooth when he wants to. Haley, on the other hand, while also having a solid range and pleasent voice, becomes uninspiring with her raspy tendencies. Like my disclaimer said though, it is just my opinion and I am entitled to it. I also respect your opinion and both respectfully agree and disagree with your comments. Thanks for reading!